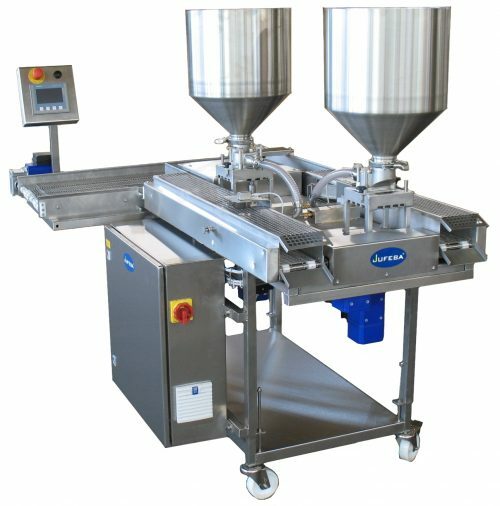 The automatic pastry filler with gear pump system is ideal for processing all types of fillings. Whether liquid such as pudding or jam or viscous such as nougat or nut chocolate cream. Even cold whipped and very airy creams can be processed very precisely. Various filling parameters can be defined and stored for each filling mass via the Siemens touch panel. All components can be easily removed and quickly cleaned.